You'll be blown away by this exquisitely remodeled home tucked away at the end of a private cul de sac in desirable Lake Joanna Estates with LAKE ACCESS to beautiful spring fed LAKE JOANNA! Walk to HIDDEN WATERS PRESERVE. New hickory wood floors & tile throughout. ..no carpeting. Spacious living room/great room has vaulted ceilings and arched windows. Chef’s kitchen has custom solid cherry cabinets, granite tops, tumbled stone backsplash, center island with breakfast bar and top of the line stainless appliances. Split floor plan offers generously sized guest bedrooms with newly remodeled bath. Enjoy the professionally designed Master Suite with new remodeled & expanded spa quality master bath, an extra-large walk in closet and separate linen closet. Other features include all new half bath with vessel sink, large laundry room w/cabinets, new double pane insulated windows, new plumbing and gas line, propane tank, updated wiring & fixtures, new ductwork & grills, new interior and exterior paint, gutters, 2 car garage and more! Nearly 1/2 acre private landscaped lot, just steps away from beautiful spring fed Lake Joanna's community ramp, covered boat house, beach and parking for your watersports toys. Enjoy fishing, boating, skiing and kayaking from one of the area's spring fed private lakes. 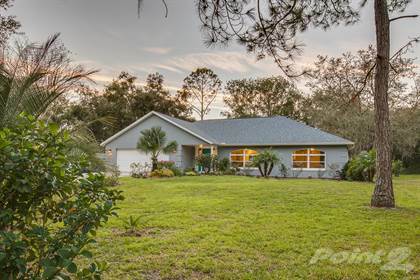 Minimal HOA fees and only county taxes since this pristinely maintained community lies in a small sliver between Historic Downtown Mount Dora and the Downtown Eustis Waterfront but conveniently located very close to all amenities. Hi, I'd like to find out more information about 1200 Marshall Court, Eustis. Thanks so much!